Step by step registration procedure for residents who intend to do Hajj this year 2017 (1438) by Allah's permission. 2. Choose the language as you like Arabic or English from top left side. 3. 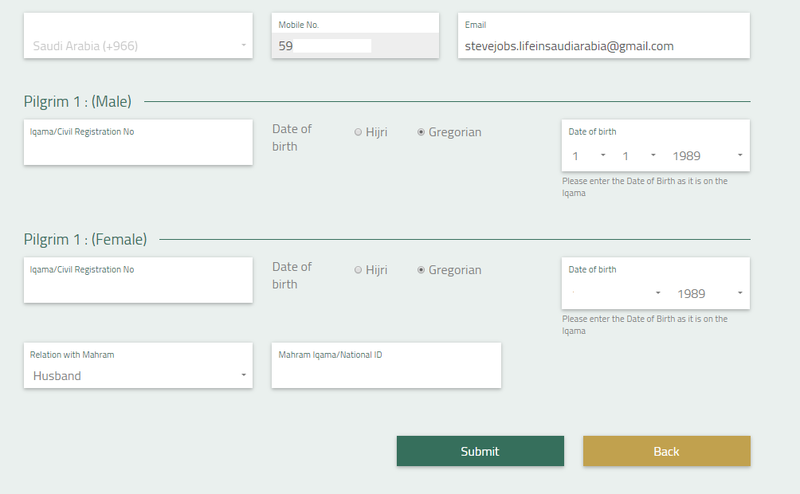 Enter your details like City, Number of members, Package type (Normal Fare, Low Fare and Muyassur), then when you want to leave Mina like Mutajil (on 12th) or Mutakhir (on 13th) and then "Submit". 4. Now you will be redirected to a page where you can see the package details. 5. Based on your selection, List of companies packages will appear who are operating hajj services including its details like Housing, Transportation, Food, etc. 6. You can check all the services and prices they are offering for hajj program package by clicking "Details" below every operator company. You can also find a button of "Book". 7. Once you click "Book", You will find a form to enter your details like Mobile Number and Email. 8. Click on "Submit", It will verify your mobile through SMS code in the next screen, One mobile number can be used to book only one time. 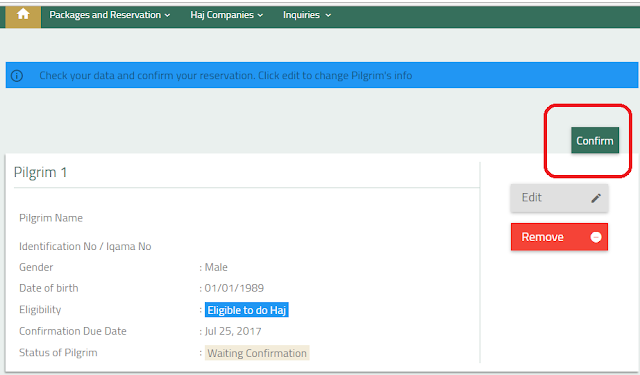 - Once you verified your mobile, It will ask you to enter your details like Iqama number or Citizen Id number and date of birth, You can enter all the pilgrims details, For female passengers their husband or mahram details should be entered in the same form. - If you want to slaughter animal, You can take the coupon here, Otherwise you can skip it. - In the next page, you need to agree the terms by click the button of "I Agree". Once you agreed with the terms, You need 'confirm' it, for that you have 12 hours of time, In case you did confirm with 12 hours it will be canceled. 9. You can print it and contact the agent if you have any queries, If you are satisfied with the agent, then you can proceed with them by paying the amount on the mentioned SADAD with in the 3 days. 11. 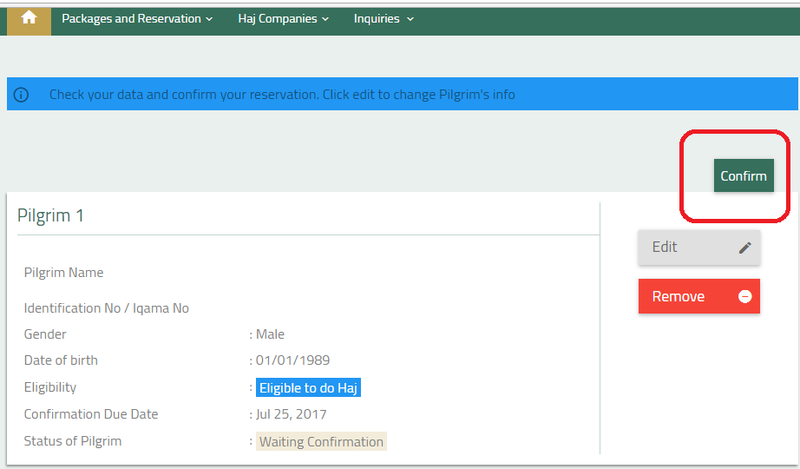 Once you paid, With in 2 days of time, you can visit Hajj ministry website and check your status, If your status is "Paid Applicant", Then you successfully done with it, It will take a time of 2 days to update in MOI website. You can download your permit by following this "Download Hajj permit". Also, the ministry has warned against dealing with any company, no matter it is, and made it clear that the Internet portal is the only place for Hajj registration and payment of Hajj fee, to ensure that there is no price manipulation or its increment. I need to make the payment but what is the bank name? Thanks.